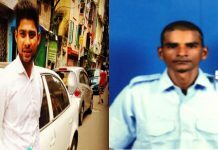 Kolkata: A spoiled brat, whose rash driving crushed a young Indian Air Force jawan on Kolkata’s Red Road in 2016, will walk out of jail soon because the city police failed to prove the murder charge against him. Moumita Bhattacharya, an additional district judge in Kolkata’s City Sessions Court, today pronounced the judgement in the case that had shocked the country. In her judgement, Bhattacharya quashed all the charges that Kolkata Police levelled in the charge-sheet under Indian Penal Code sections 302 (murder), 201 (destruction of evidence), 120B (criminal conspiracy), 304 (II) (culpable homicide) and, 307 (attempt to murder) against accused Taushif alias Md Sambia, his father Md Sohrab, friends Shanu and Johnny. 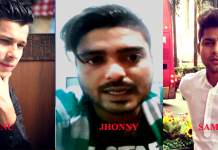 The judge observed that police carried out the probe on emotional grounds but failed to produce incriminating evidence in support of the charges levelled against the accused. She pointed out loopholes in the investigation report and the post-mortem report. But not stopping at this, Bhattacharya then invoked her judicial powers under section 216 of the Code of Criminal Procedure (CrPC) and pronounced the brat, Md Sambia, guilty under IPC sections 304A (causing death by negligence) and 427 (mischief causing damage). She sentenced him to the maximum two years in jail under 304A IPC and, another six months jail under 427 IPC along with a fine of Rs 1-lakh. Sambia’s father and friends were acquitted altogether. Despite being convicted and sentenced, Sambia will walk out of the Presidency Jail soon as he has already spent over two years there during the trial stage itself. 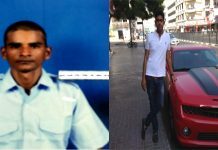 It may be recalled that airman Abhimanyu Gaud, 21, was crushed to death by a speeding Audi car at Red Road on 13 January 2016. Gaud, serving his first posting, was participating in a drill for Republic Day parade when this happened. Three days after this, police had managed to arrest Md Sambia, who was driving the Audi at the time of the accident. Police filed the first charge-sheet in March 2016 itself and scuttled Sambia’s chances of securing a bail until the trial ends.